​There was a time when I did not realize the symptoms of stress. That might have been due to a variety of reasons: lack of awareness, age (you bounce back faster when younger), ... The first clear memory I have of the awareness of being stressed was in late 2014. I was driving to work when I suddenly felt physically ill at ease and thought I was going to pass out. I took the nearest exit, parked and waited for the feeling to pass. Then drove back home and took the day off. I remember a clear sense of feeling overwhelmed, feeling utterly unfulfilled, and a sense that I had lost all control over my life. For the past several months, I had been suffering from chronic pain in my right hand which I self diagnosed as a form of Carpel-Tunnel. The only problem was that the pain seemed to randomly come and go. There were also neglected bills (did not have a system for automating payment for all my monthly bills), a sense of not not being there enough for my little kids, a lack of purpose, and a feeling of exhaustion. I had had no major health issues and the feeling of being about to pass out unnerved me, and combined with the pain in my hand, I decided it was high time I went for a complete physical check up. That was the beginning of a year long phase of my body breaking down. My doctor said that it was stress. I didn't believe him. I had always assumed that stress was all "mental". Don't ask - I just had not paid enough attention. How can you say the very real and physical pain in my hand, the shortness of breath I sometimes experienced, the chest palpitations were due to stress? There must be a physiological issue behind this, I insisted. My doctor was very patient with me - he explained that 75% of patients visit doctors due to stress related issues. He also said that stress can manifest in any physical form. He encouraged me to explore mindfulness to help. Soon after, things got worse for me - I developed insomnia. I was once a deep sleeper that would pass out and not wake up until the next morning. Now I was up all night with aches, burning sensations in my body, and worse, if by some stroke of luck, I began to nod off, my body would simply jerk itself awake. It was horrible. I went back to my doctor and begged for sleeping pills. He reluctantly prescribed a 90 day supply. Anyways, I became desperate to get better. It was a long journey - I read A LOT! I experimented and I want to share what worked for me. Standard disclaimer: do your own research and consult your doctor before you decide to follow my path. - The first step towards recovery is realization. It took me a while to accept that I was stressed. - Once I accepted that, I took some near term steps to manage it. I cut back on work responsibilities. I asked for a change in work scope and was able to eliminate many work stressors that had led me to this state. - I was uncomfortable in my skin for nearly a year - meaning I would feel sensations of wobbliness, burning sensations in my chest and back, shortness of breath, tingling sensations etc. These were SUPER uncomfortable and I was not used to them. I wanted them to go away and never come back - which stressed me out further when I felt the next tingle or burn. I really had to work work work on accepting these uncomfortable sensations. One thing that helped was talking about them with close family and friends. They helped me realize that I was not dying! And that really helped. So the lesson is go to your trusted network for support. - I took a three month yoga class. Obviously there were no instantaneous benefits, but it was calming to stretch, breathe, and be still. Dr. Mark Hyman. I found his website useful for researching supplements. I recommend reading this blog post and this. Dr. Sara Gottfried - The Hormone Cure. I followed her recommendation for supplements for three months and I believe they really work. Eknath Easwaran - Conquest of Mind. I used this book to learn how to use a mantra when my mind was in overdrive. Dr. Robert Fulford - Touch of Life. A simple book which I used to practice some exercises. It's a beautifully written and simple book. Highly recommended. Pete Egoscue - Pain Free. I can't say enough about how wonderful this book is. Written by a renowned physical therapist, the book has simple, effective exercises that you can do at home or anywhere else you might be in just a few minutes for every part of your body that might be in chronic pain. And they WORK! I use his exercises even today. - Supplements: I invested in some supplements based on the research above. I believe these really work. I recently started a new role at work and I could feel the stress on the first week on the job. The first step was awareness that I was stressed (unlike before). I could feel burning sensations in my body (probably cortisol), poor sleep, tight muscles, clenched jaw. Once I realized I was stressed, I began a regimen of magnesium (called the chill pill - I can't say enough about this mineral. Important you take an absorbable form of the mineral - read the Dr. Hyman article), fish oil, and vitamin B6. I could relax within a few days. - Vitamin C: I am convinced this is a miracle vitamin. I travel a lot and get exposed to god knows what in my travels. I drink a glass of warm lemon water - a method renowned in Ayurveda - for my daily dose of vitamin C. If you have a lemon tree at home, juice your lemons and drink a glass everyday. Just a teaspoon of lemon juice diluted with water will do. ​- Meditation: I use an app called Oak. I love to sit and do guided meditation. Definitely helps. - Breathing: When stressed, I find it very helpful to breathe consciously. I use this technique that I read in a book by Dr. Andrew Weil. - Fresh herbal teas: Since I embarked on this wonderful journey of discovering the magic of plants, a whole new world has opened up to me. My research led me to herbs I'd never heard of before. Like Lemon balm. This is a stress busting herb also known to help with hormonal imbalance. I bought a lemon balm plant (it is a member of the mint family and grows readily in California). I usually combine it with a few leaves of sage and drink a tea when I feel like it. It is amazing! - Ginger - this is an amazing root that helps with inflammation. I incorporate a lot of fresh ginger every day. There are studies that show that pre-menstrual syndrome is linked with inflammation and also that there is a correlation to decreased magnesium levels. I do suffer from some hormonal issues just before and just after my period. So I load up on ginger and magnesium to help with this. I think that's about it. I hope you find these resources helpful. I strongly believe there is a natural and safe way to managing stress. I didn't mention exercise - I am not an exercise person. I like to walk but that's about it. Maybe there is a whole new way to deal with stress with exercise. Do share your story of how you manage stress. Vetiver is a grass that grows prolifically in warm climates. It is particularly well known in India - the name Vetiver is derived from the Tamil word “vetriver” which means cut roots. ​Vetiver is well known for its environmental benefits - the roots grow long and deep and hence it is cultivated to moderate soil erosion. Vetiver is also grown in farms to enrich soil and help with pest control. The roots are very pleasingly aromatic and are steam distilled to produce Vetiver essential oil. This oil is highly prized in the perfume industry - it is used in perfumes such as Guerlain’s Vetiver, Chanel’s Coco, Dior’s Miss Dior, Yvette St. Laurent’s Opium, and Givenchy’s Ysatis. Known as Usheera, Vetiver is a super herb in Ayurveda. Aromatherapeutically, Vetiver is considered to be calming and grounding. The first sniff of Vetiver roots took me by surprise. The aroma is mild but delightful. It brought back memories of burning incense in the temples of South India. ​There are some other interesting uses for Vetiver. The essential oil of Vetiver has been used to alleviate symptoms of jet lag. 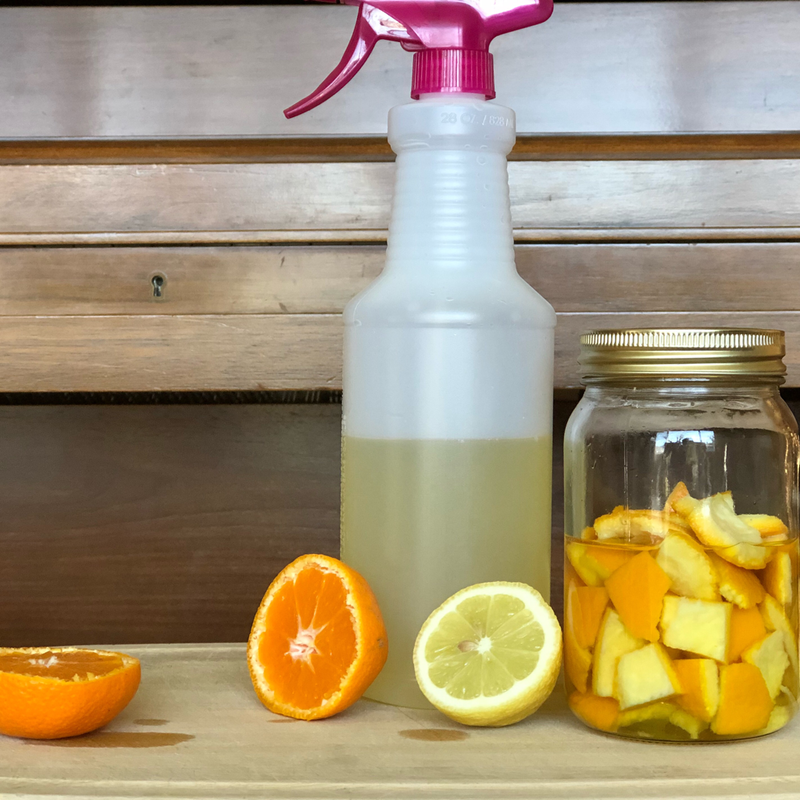 The recipe calls for 5 drops of Vetiver essential oil, 5 drops of geranium essential oil, and 2 drops of juniper or grapefruit essential oil in 2 Fl Oz of a carrier oil. This oil is to be liberally applied on the body when traveling. I travel a lot for work and definitely plan on giving this a try! Vetiver has also been used to help with painful symptoms of menstruation and to aid in fertility in women. However it should be avoided by women who are pregnant or breastfeeding. Another property of Vetiver that needs to be kept in mind when taking it internally is that it has the tendency to harden stool . So if you are prone to constipation, limit taking vetiver internally. It could help with diarrhea though. Vetiver is available as roots and as essential oil derived from the roots. Below are some methods to incorporate this herb in your beauty and health routine. ​The safest way to consume vetiver internally is to steep a few roots in water and drink it. This is a common practice in South India. Traditionally, the roots are steeped in a mud pot in boiled water. Vetiver roots have a great capacity to absorb a variety of chemicals and may have an effect of purifying the water. The roots also imbibe a fragrance to the water which I personally find quite pleasing. 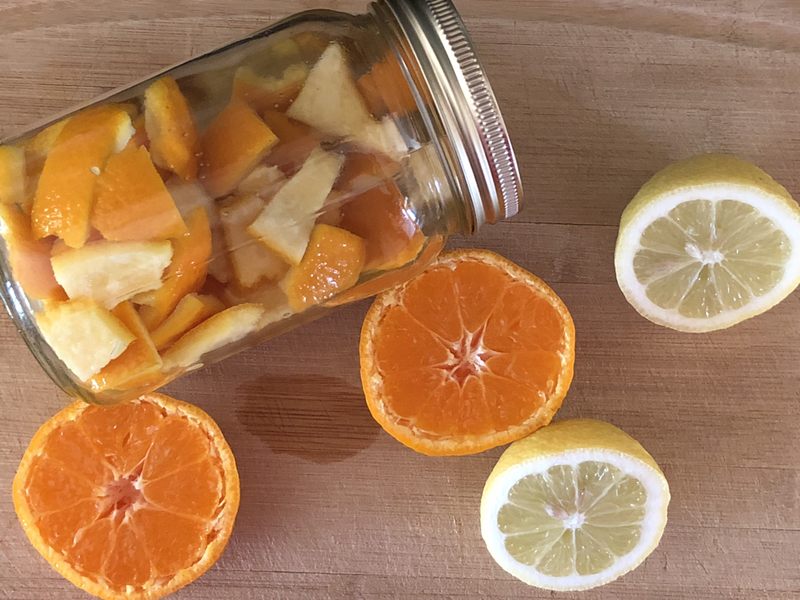 You can add a slice of lemon as well to the water. For skin issues like acne, make a tea with vetiver root. It is easiest to chop the roots into small pieces in a blender and add teaspoon or two of the finely chopped root to about 3 tablespoons of hot water. Let the roots steep for several minutes. Filter the tea and use it to make a paste of red sandalwood and Haritaki powder (more on this super herb in a different post). Mask face with this paste. This is a really good remedy for painful pimples and helps dry them out. My favorite way to use Vetiver for my somewhat mature skin is as a hydrosol. 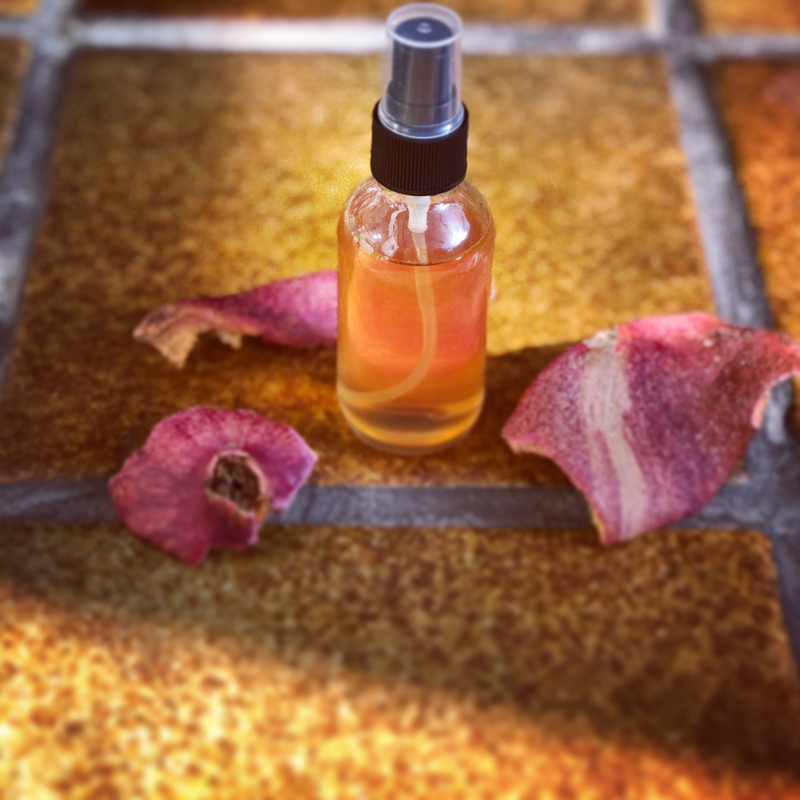 I make a hydrosol at home using vetiver roots and use it to mist my face after cleansing in the morning and at night. The aroma of vetiver hydrosol is very mild but extremely calming. I then apply a facial oil or a vitamin C serum after. I have used the remaining roots after making the hydrosol to make a tea and used the tea as hair rinse. Not sure if this helps or not but again the aroma is most calming and wonderful and it's a way to get the most of my vetiver roots :). 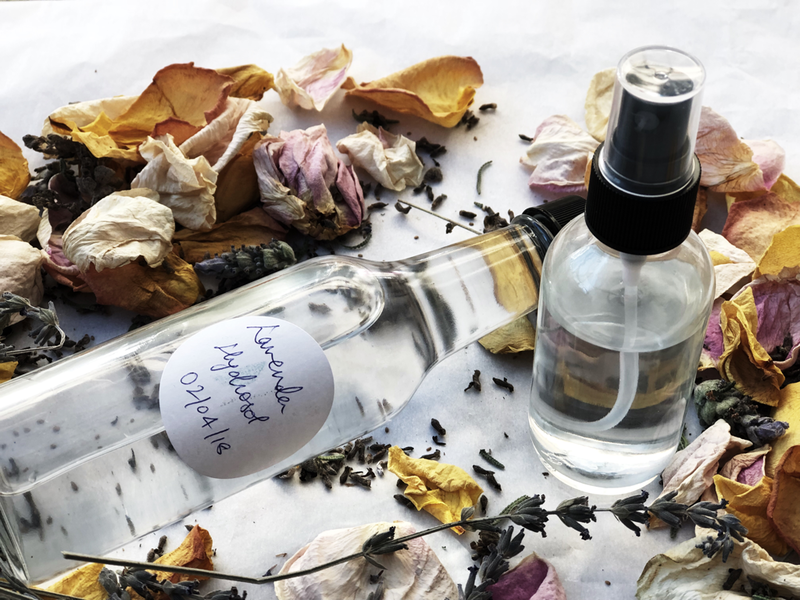 You can also incorporate Vetiver essential oils in your beauty routine. I have not experimented with this as yet and thus don't have much to say. So that's that on Vetiver. The main reason I love it is because of it's aroma. There is a quality to the aroma that is hard to describe - unlike many natural aromas, there is no known synthetic substitute for vetiver aroma. I encourage you to try it - maybe serve an interesting drink of Vetiver steeped water at a summer party to add a touch of the exotic! The idea is to use a bunch of antioxidants to help scavenge reactive oxygen species (or ROS). The UV rays from the run react with skin tissue and create ROS that can do a lot of damage - ex. cause hyperpigmentation. I really dislike sun screen so I always load all the products I use with anti oxidants. That, along with a wide brimmed hat, has offered me fantastic protection over the years (I take walks in the middle of the day, every day in sunny California). Some potent antioxidants are a class of compounds called polyphenols and flavonoids. Pomegranate peels, orange peels, rosehips and amla are rich in phenolic compounds. Another excellent antioxidant is vitamin C - found in amla, rosehips and orange peels. In addition, the turmeric root contains curcumin, another powerful antioxidant. Acne is caused by bacterial infection of a pore clogged by sebum. Therefore, it is important to have antibacterial and anti-inflammatory ingredients in your skin care. Ingredients in this oil that provide these benefits are magnolia (rich in magnolol and honokiol) and manjishtha. Manjishtha is a much revered herb in Ayurveda - many good things, such as being anti-inflammatory, are attributed to this herb. Both magnolia and manjishtha are good for acne. Sandalwood bark is also well known for being anti-inflammatory. With age (and accumulation of bad habits and exacerbated by genetics) comes the raccoon look. I have tried formulating any number of gels, oils, and creams for this and received not so great results. Licorice, magnolia and manjishtha are known for skin whitening (see references below) and great for pigmentation issues. I added the white oak bark because it is rich in tannins - chemicals that constrict blood vessels. Pomegranate peels are also rich in tannins. So by using a multi-pronged approach of pigmentation suppression and blood vessel constriction (astringents), I hope this will help with dark circles. I used Ayurvedic methods to extract the herbs in water and then incorporating the decoction in sesame oil and rounded the whole thing off with a drop of my favorite rose absolute. Been using this oil for a month now and I plan to get this out for sale. 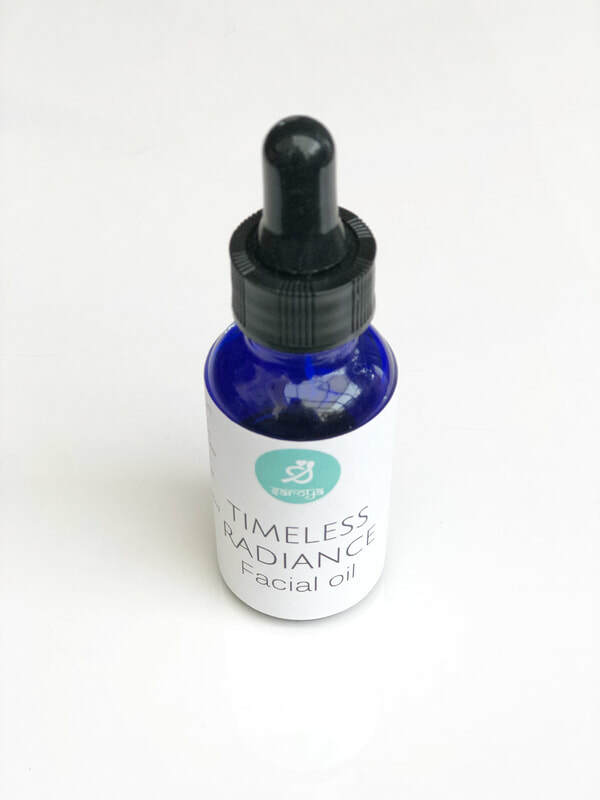 Calling it Timeless Radiance - an oil that can be used at any age. I grew up in India, the country that gave the world Ayurveda. Ayurveda is a medical system that is based on the tenet that human disease is caused by the imbalance of “Doshas” and the disease should be treated using predominantly plants and herbs (roots and bark etc.) to bring the doshas back into balance. Ayurvedic skincare is enjoying a reawakening (much like Yoga) and is all the rage today due to its esoteric appeal. There is quite a bit of debate regarding the efficacy of Ayurvedic treatment - see this paper for example. The core issue seems to be lack of regulation of the ingredients used in Ayurvedic medicine and the lack of clinical trials that clearly establish efficacy of such treatment. Despite being born and raised in the land of Ayurveda, I will admit I have a healthy skepticism for Ayurveda - concepts like Doshas are hard for scientists to accept. In many Indian households (including mine growing up), using herbs and plants for daily skin and hair care was fairly common. I remember vividly my mother cooking an oil with herbs like curry leaves, henna, hibiscus, Eclipta Alba (or karasillankanni aka bhringraj) and giving me regular oil massages with the dark concoction that smelled ... like a bunch of herbs. She would also use a bunch of Ayurvedic oils for body massages, make a paste of chick pea flour and turmeric to cleanse (until I was grown enough to declare this the most unsexy thing to cleanse with and switched to fragrant soaps). With that rather long story, I now come to the point of this post - how to cleanse skin the right way. Modern science gave us soap - a product formed by the sapinification of fatty oils using sodium hydroxide (or lye). The way soap works is by emulsifying dirt that sticks to our skin via the sebum - an oily substance that protects our skin. Sodium hydroxide is a highly alkaline substance - meaning it’s highly abrasive. Many cleaning substances such as the Comet cleaning powder, are highly alkaline which is why they are effective as cleaners. Typically the pH of soap is 9, that of water is around 7 (neutral pH) and that of sulfuric acid as present in battery acid, is 1. Strong acids and bases are abrasive and good for cleaning things - but not our skin! When you use a strong alkaline substance to cleanse your skin, you do effectively get dirt off. But you also strip your skin off its protective sebum making you feel very dry. The other interesting fact is that your skin is actually slightly acidic with a pH of less than 5! I remember being amazed when I first read about this. This paper shows that even bathing with hard water (that’s more alkaline) can impact the acid mantle of the skin. So why is disturbing the skin’s pH not good? Because doing so (by using alkaline products) can disturb the skin’s micro flora - the bacteria - that live on our skin. Turns out that not all bacteria are bad - and we need these bacteria to have healthy skin. Disrupting the skin’s micro flora can lead to a variety of skin problems like eczema etc. So long story short, if you’re using soap to cleanse, stop. I don’t like the complexity of this product. As I continue my journey into skin care formulation, I was drawn to Ayurvedic formulation of oils etc. The methodology of extracting herbal essences in a polar solvent (like water) and then boiling off the solvent in an oil is a very effective way to get a decent concentration of the plant material in a pH neutral medium without the need of a preservative. This type of elegant formulation is highly appealing to me and that’s how I embarked on a mission to research Ayurvedic formulation. ​In Ayurveda, the method of skin cleansing involves using a paste made of powders - typically a base chick pea flour - that can be customized endlessly. Such a paste is called Ubtan. I was pleasantly surprised to find a paper on the antioxidant properties, pH etc. 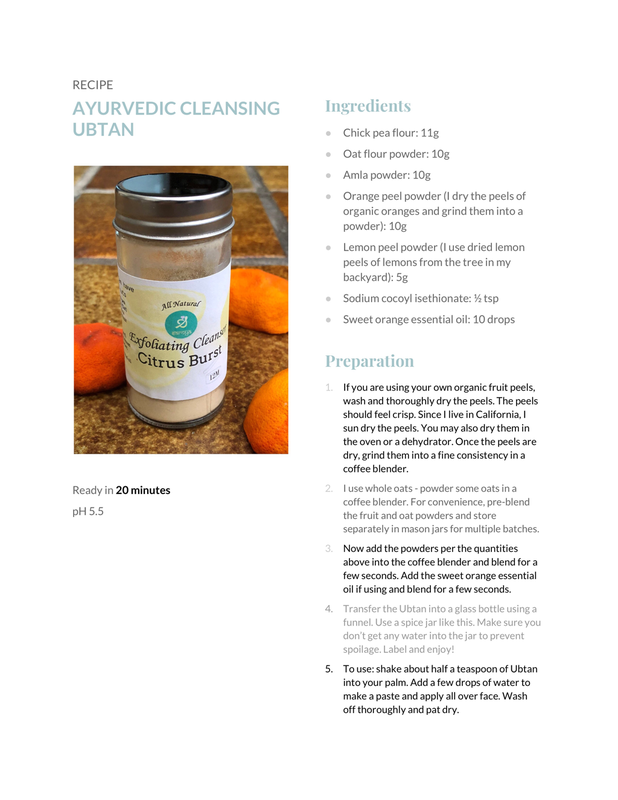 of an ubtan featuring chickpea flour, turmeric, and sandalwood bark powder. The pH of this ubtan is 6.5, pretty decent for skin. 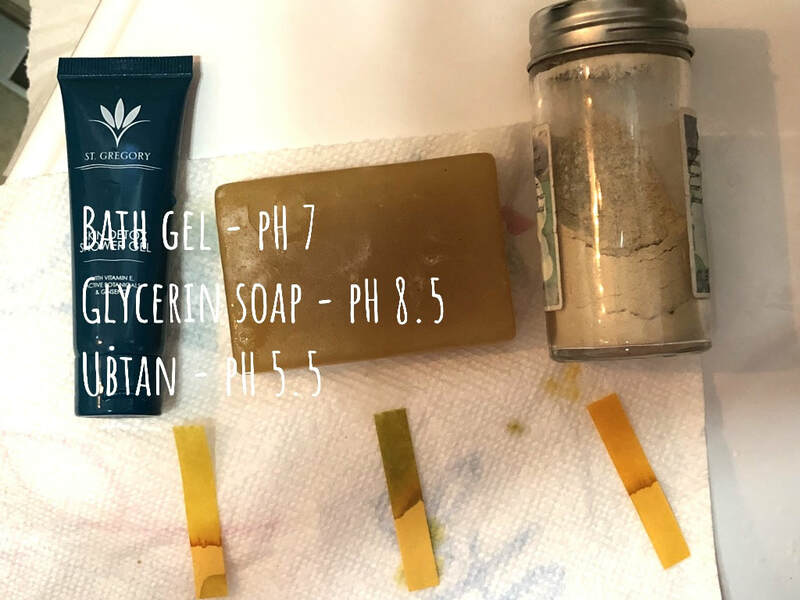 Below is the comparison of the pH of soap, a bath gel, and the Ubtan I have made. The Ubtan is closer to our skin pH and what’s more, you can make one that feels luxurious and smells great. I use a very mild surfactant to give the Ubtan a “soapy” feel and appearance but is totally optional. You can also use a few drops of an essential oil to add to the fragrance if you do desire. My current fascination in skin care formulation is with using plant extracts for specific needs. My first experiment was in creating a hair oil infused with hibiscus flowers, amla (gooseberry) and rosemary leaves. I love how it turned out - I will post details on this in a subsequent post. I'm now a huge huge fan of hibiscus - it does wonders for hair. The next inspiration for a plant extract came after I unseeded a pomegranate fruit (from a local farm) and was left staring at the peels. My husband has clearly noticed that I hate to throw away any plant material and he did a quick Google search on pomegranates and told me that I should probably do some research on their peels before throwing them away. So I decided to dry the peels anyways and spent the next few weeks researching pomegranate peels and now have educated myself on a wealth of information. Below are two extracts - the one on the left is pomegranate peel and the one on the right is white oak bark. I love the rich colors - these are due to the wonderful compounds extracted from these substances called Phenolics. Phenols are a class of aromatic compounds (containing a benzene ring and a hydroxy group). My primary interest is to see how polyphenol topical application can help with skin issues. 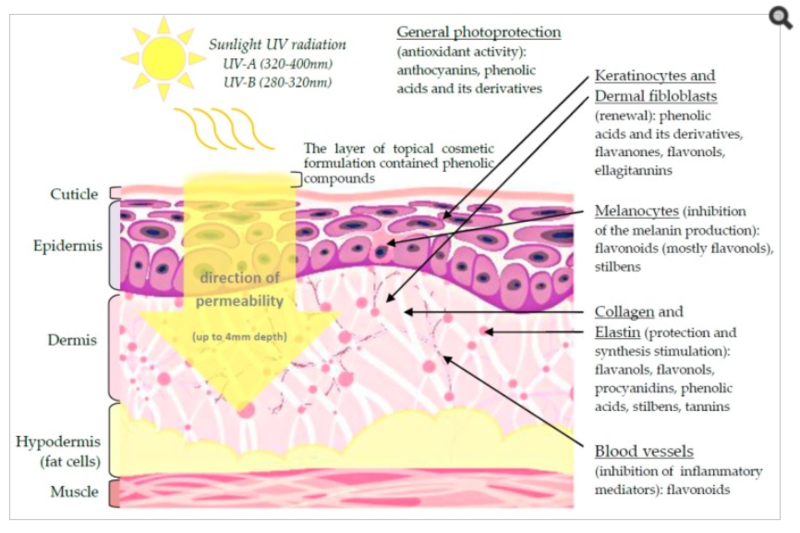 The picture above indicates the mechanisms by which these compounds can help against aging - photoprotection, cell renewal, inhibition of melanin (suppress age spots, melasma? ), collagen stimulation, constriction of blood vessels (under-eye dark circles). Coming back to my two extracts - pomegranate peel extract is rich is polyphenolic acids (punicalagin acid, ellagic acid) that have photoprotection benefits and also rich in tannins which aid skin cells renewal. In other words, perfect for use in an anti-aging product! The white oak bark extract is rich is quercetin and tannins - which can help with blood vessel constriction and melanogenesis inhibition - i.e. an under-eye dark circle treatment. I also plan to extract the flowers and leaves of magnolia grandiflora which are also rich in polyphenols such as magnolol and honokiol, and other tannins for an anti-acne treatment. The next thing to figure out is the concentration needed for efficacy and what kind of formulation to use it for in. Fun stuff! We all love facials - the ritual of steaming, masking, pore cleansing, facial massage. Blackhead removal - not so pleasant. I'd love to hear what you like about getting a facial! Please share. However, I bet here's something you didn't know. If you are dark skinned, blackhead removal can actually do more damage to your skin. Why? The curse of pigmented skin is its very easy tendency to scar. Squeezing out blackheads bruises skin and tends to leave behind scars that last forever. Remember that next time someone tries to de-blackhead you! So what can you do? First we need to understand blackheads. Blackheads are caused by two things: excess sebum (oil) and debris like dead skin cells. When the opening of a hair follicle gets clogged by these two, a comedone (bump) develops. If the bump is above the skin surface, it gets oxidized resulting in a blackhead. If the bump is below the skin's surface, it is a whitehead. If the comedone gets infected by bacteria, it is a pimple. There's a lot of hooey stuff on the internet with no scientific backing about how to manage comedones and acne ranging from "non-comedogenic" products to oil cleansing. If we were to address the root cause of blackheads, we need to control the amount of sebum produced and prevent the accumulation of dead skin cells. How can we do this? Turns out that controlling the sebum production is not easy - it is dependent on hormones which are a bit tricky to manage. We can do something about removing dead skin cells. This is a good review published in a scientific journal about methods to manage acne including alternative therapies. The paper indicates that clay masks are effective in clearing out dead skin due to clay's excellent absorptive and adsorptive properties. This paper also indicates the benefits of using clay masks for mild acne although it was sponsored by a company that makes and sells clay!!! There are different types of clay to use. I think it's OK to use any of them although skin care marketing will have you believe otherwise. These are Bentonite, kaolin, French Rose, French Green, Fuller's earth (Multani Mitti) ... In general the French clays and Kaolin clay are gentler and less drying. 2) You can use water, yogurt, honey, apple cider vinegar as your liquid medium. Water is perfectly fine. 3) Test your skin to sensitivity. If your skin is sensitive, apply a thin layer and leave on for 5-10 mins and wash off. If your skin is not too sensitive, you can leave the mask on for 15-20 mins. 4) Frequency of application - no more than once a week depending on how your skin likes it. 1) Cleanse your face with a mild Ph balanced cleanser no more than twice a day - morning and evening. One of the key problems with liquid cleansers are that they are very hard to completely rinse off. It is vitally important to rinse the cleanser off COMPLETELY or the chemicals in the cleanser will clog your pores. A rule of thumb is to wash your face with water 10 times after applying the cleanser. 2) Steam your face to open your pores once a week. 3) Minimize the number of products you use on your face. Lastly and most importantly - let your confidence make you beautiful, blackheads or not. Don't obsess - just follow these simple hygiene tips, eat sensibly, and live your life! I have never been into makeup. I know it's quite exciting for a lot of women, but for me it's just a bother. Why? It's expensive. You need to have the products and the tools. I recently read Bobbi Brown's book Living Beauty - while the results of her artistry are quite remarkable, they come at a pretty significant cost. I can go on, but those are the basics. Although I don't care for makeup, I do care deeply about beauty. Everyone has an opinion about beauty - to me beauty is an attitude and a state of mind. As cliched as that might sound, I believe it's true. For my beauty to shine through my persona, I need to feel gorgeous. And makeup does not do it for me. To illustrate what makes me feel gorgeous, I need to make an analogy to Ramit Sethi's pyramid for productivity (with due apologies to Ramit). When you think about it, there are a few key fundamentals which when taken care of pay huge dividends when it comes to the quality of your life. Beauty is an aspect of quality of life - it adds to self confidence. So, here are the fundamentals Ramit talks about that are the basics of leading a productive life. Interestingly, the same is true for looking gorgeous as well. (Below is my summary and not exactly Ramit's words). Sleep well - nothing like a good night's sleep to make you feel amazing. Also it helps with dark circles and generally looking like you're about to drop. Concealers work but are a lot more work, time and money. Nothing pays richer dividends than making it a priority to get a good night's sleep. Eat well - Ramit talks about meal plans so that the probability of unhealthy eating is low. But the fundamental is to eat nutritious food. For beauty, there are multiple benefits to eating healthy, nutritious food. Many people mistakenly think that beauty is about what they slather on their skin - it is actually a fundamental side effect of a healthy life style. Cultivate systems and habits that help you achieve your goal. For beauty, there are a few personal hygiene habits that have to be cultivated and practiced consistently. Like brushing and flossing your teeth. Below are some of the most effective habits that have worked for me (besides the two above). Cleanse your face in the morning and at night no.matter.what. A lot of people go to bed without cleansing their face - just like brushing your teeth gets rid of the food remnants stuck in your teeth, cleansing your face at night removes the grime that collects on your face from your activities throughout the day. This one habit will elevate your skin to a new level. Give your skin real nutrients. Makeup is not nutritious. Real nutrients are rich plan oils like olive, coconut, grapeseed etc. My personal regimen is to use facial oils as moisturizers morning and night. A lot of people are appalled at the thought of using oils for their face. I used to be one of them. But I am now convinced that oils are the best way to restoring your skin to the right oil balance. Use natural soaps made from real oils. Want less breakouts? Use facial oils. Exfoliate - use simple physical exfoliants. You don't need 20% glycolic acid peels. Physical exfoliants take time but are way less risky and more pleasant to use. Exfoliate your body as well about once a week by dry brushing or using a scrub. Exercise. It's funny how we try to recreate the natural with makeup. It's not a bad thing but for me it's misplaced time and energy. When you exercise, your cheeks flush. You improve your blood circulation in your body that creates vitality. The best manifestation of beauty is vitality. So do exercise that you enjoy. For me it's brisk walking and yoga. Make it a priority. And drink a lot of water and eat food with fiber so the unhealthy build up in your body is flushed away in your pee and poo. So that's it. If the above habits are cultivated and practiced consistently, you will glow without the need for makeup. How do I know? I have experimented on myself. I read a lot and found the above to be common in most credible works. Try it - you have nothing to lose. One of my clients told me that good skin care needs to be cultivated like good oral hygiene. Just like it's automatic for us to brush our teeth so they are healthy, so should it be with skin care so our skin is nourished and glows with happiness. And just like brushing teeth, we need to start with kids when they are young so the habit becomes ingrained. One of the most common issues I hear about is dry skin. Ranging from scaly and itchy to hard white spots particularly on young children's faces. Such problems can easily be avoided by practicing the following on a daily basis. 1) Only use warm, not hot water for showering. Young children who bathe on their own are notorious for taking long, hot showers. This combined with a lack of basic skin care is the best recipe for dry skin. Ask me, I have experienced it with my daughter. Convincing her to cut the heat and time took long, but the next step below really helped in the interim. 2) Use a gentle soap. I recommend a pure glycerin soap like this one. Vegetable glycerin is an excellent humectant - meaning it attracts moisture to your skin. 2) Apply a body cream with a significant amount of humectant (like vegetable glycerin) when skin is still slightly moist. Many Indians like to use an oil, like coconut oil. However, while oil is good, by itself it is is not enough for chronic dry skin which needs water that's found in creams and a humectant that draws moisture to the skin. So there you have it - simple and effective. For stubborn dry spots, try the Resuscitate serum, proven to be effective and safe.